The Invasion Game Mode is back to World of Warplanes! This post will help you to refresh your memory on the main aspects of this mode. Both teams will have a limited supply of reserve aircraft (respawns), win conditions are simple: the attacking team needs to capture all the territories in the given time or destroy all the enemy team aircraft, including the reserve ones. The defending team needs to save their warplanes, manage to keep at least one territory under their control or destroy the attacking team completely. New fresh maps is cool. Thank you! Completely broken and untested mode. Really people , how did you get your jobs? Games end too fast to do anything, and just to give an example of plain stupidity, one of the mission for fighters is to capture sectors to get ranks. Maximum rank is 5 sectors, but then you get in battle and guess what. There are only 4 sectors, which cannot be exchanged by teams, since they are destroyed instead of captured. This, and fact that games end in like 3 minutes, make virtually impossible to complete 3rd mission with rank 2 , whatever it is cause i didnt even bothered checking. Seriously , give this game to a decent studio or just end it. It becomes ridiculous. 5 battles so far, 5 times defending team won. Just donno what to say anymore. I feel we are not players, but beta testers. I played this mode when it was introduced for the first time, and wasn't entirely happy with it, mildly speaking. Back then it was very simple - on higher tiers attackers won 99.9% (the IL swarm and reargunner slaughterhouse), on lower tiers defenders won (weak bombers/ground attackers vs relatively strong heavies, coupled with players' gangb... erm, you know what, the attackers). I suspect this will be the same, only faster (as in 'faster bombers making it even less possible to defend' etc). BUT! I already encountered one bug, and it was so silly it made my laugh real hard. Imagine this - you pick your favourite bomber (He-111, obviously - B-32 is overhyped) and rather logically assume that you will spawn with your teammates. I mean, you are blue, right? Reds are on the other side, blues is - are - on my side, right? So I take a look around, and all I see is... red. Really. At the start of the battle my bomber was spawned WITH the red team, only slightly above the bazzilion heavy bots already having me on the list. Before I fell down my chair laughing, I was already on the way to respawn, and - would you believe that - this spawn was on the proper side of the map. Only, like 40 seconds behind the rest of my team, so I could watch them getting annihilated while climbing. I was so surprised I didn't take any screenies, but I had time enough to express my surprise on global chat with the properly understated astonished 'wtf!'. Funny, but a bug nevertheless. 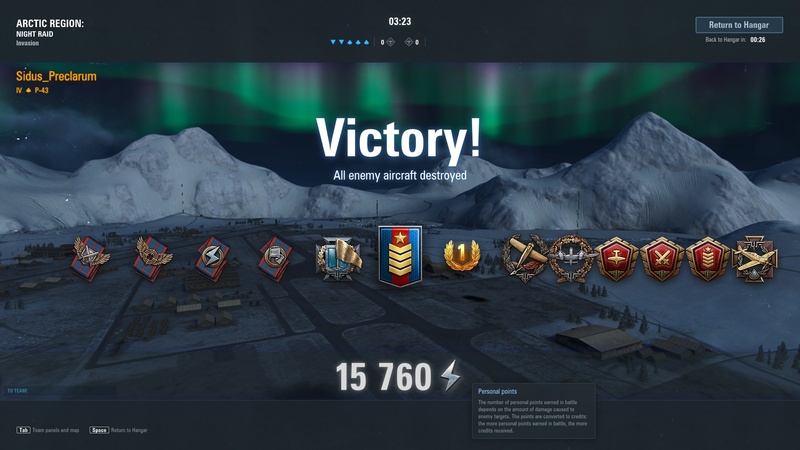 Won a couple as attacker , but both were the same, flipped an airbase , suicided to switch to a bomber and try to get a win with it, but dont even get to attack a sector, its over cause my team roflstomp the rest of the bases for a 2:30 min or something win. Ridiculous. Honestly, the only reason i will endure this piece of garbage is to get some gold. Zero fun. BTW, do you really understand what defender word means? It means you have to be around something to defend it. How am i suppose to defend an airbase if when i arrive there, it is already captured or 3/4 captured? Edited by Horcan, 21 March 2019 - 05:52 PM. ...God...are we beta testers now? You have super testers for Ho 229's and you cannot have people to test the mods when you "re-balance" them....In this phase you cannot win with mid tier bombers (since offence is autoloose always) and i dont think that is possible to win grade 2 with any class apart from high tier attack planes(if you are lucky and the enemy team actually makes the game last a little)...So how are we supposed to win the t10 bombers if we cannot win the phase rewards during Invasion Phases???? Edited by elias_the_great, 21 March 2019 - 11:14 PM. Edited by Cruditatem, 22 March 2019 - 06:53 AM. BUT! I already encountered one bug, and it was so silly it made my laugh real hard. Imagine this - you pick your favourite bomber (He-111, obviously - B-32 is overhyped) and rather logically assume that you will spawn with your teammates. I mean, you are blue, right? Reds are on the other side, blues is - are - on my side, right? So I take a look around, and all I see is... red. Really. At the start of the battle my bomber was spawned WITH the red team, only slightly above the bazzilion heavy bots already having me on the list. I can confirm it, from the other side. I did not bother to fly bombers, but I saw red bombers spawning at our place myself. Only that in this case, at first i thought they are dead meat and ignored them, But then had to go back, or rather go up, because one of them was ignored by everybody. It was hilarious anyway. Not for the bomber jockey, definitely. Have had a couple of games defending, where the attacking players just disconnect, can't blame them, a getting a win as an attacker is much harder than as a defender. Unbalanced yes, but the credit income for a win isn't that great, as the games are just too short. If their going to be short, maybe reduced the number of re-spawsn available for the defenders, as the attackers seem to go through aircraft at 2-3x the number as defenders. Or maybe a tanks weekend ... once in a long while. Could you please recollect the map name? As for the game mode feedback I would greatly appreciate it if you could formulate your opinions more precise and reasoned. I truly understand that you are frustrated but it doesn't make any ease to my desire to help and pass along your feedback to the developers. 1. Defenders are in more preferable position, and it is far way easier to win on the defenders side. 2. Due to the mode specifics the battles mostly are short which makes it practically impossible to win Grade II for the mission and/or achievement. 1. Because caps can be captured only once you often cannot capture enough caps to get chevrons. In a normal game caps can switch side several times but in this mode not. On the defending side you cannot capture any caps. 2. The attackers get bombers and GAA, the defenders only fighters. The defenders have support from AAA, the attackers not. So the defenders will get more kills. -> the attackers need to have more respawns than the defenders. 3. This mode is no fun at all with GAA and Bombers. The defenders concentrate solely on shooting down enemies, especially Bombers and GAA. So GAA and Bombers have a much harder life than normally. 4. Idiots and early quitters hurt their own team more than normally. Every lost friendly plane hurts because this reduces the number of available respawns. If an idiot continues flying into the ground he actively hurts his own team. If an early quitter or disconnected player repeatedly flies straight into the enemy because there is nobody in control this really hurts his own team. Edited by klbergmen, 22 March 2019 - 01:30 PM. IMHO alhough you summarized it in this "just one" issue, it's the core one. Described in a more detail in multiple threads around the forum currently. Basically, since attacking side gets ten fighters against 15 of defenders and adf's it would require solid coordination effort on part of attackers to break through concentrated defence. The difference may in theory be offset by more planes in reserve pool, but it is not, because of snowball effect. Every time attackers fight against superior numbers, and defender is not in any weaker possition at last garrison then at the start of the battle. To balance it, either initial balance of teams should be different. Not 15 vs. 15, but maybe 12 vs. 15 ? Or loosing the position should hurt the defender more. Maybe loosing some reserve aircraft pool? Or make all of them rocket bases, to help with aditional capturing. I don't know. Adding more planes to reserve pool is not going to solve much. Nice ideas. I can add few more. For example adding more initial time. Or/and more sectors for the defending team, but weaker. Or just to weaken the special sector (with artillery icon). The most of the buildings are shooting and they are well-fortified and doing solid damage. Maybe adding a sector for the attacking team is not a bad idea, too - an air base to regain hp or rocket/CC. Just the DEVs must choose the easiest way to balance, not rework the mode. There is no point of doing Sisyphean struggle.